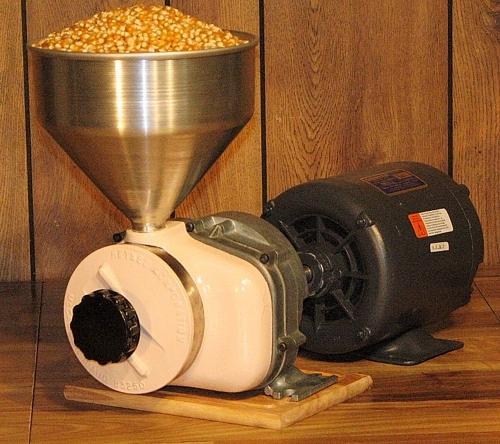 The 45 RPM Grister Convertible Special flour & cereal mill comes with BOTH of the ceramic stones or stainless steel burrs. All Gristers are a special order item and a 50% restocking fee may apply if used. We stock many types of motors for different voltage, amperage, shaft diameter, horse power and phase rating to be shipped anywhere in the world to suit your application. Available in 12 custom colors.